Sainz did better lap times than the drivers who finished in the points, but the incident with Kvyat ruined his career. 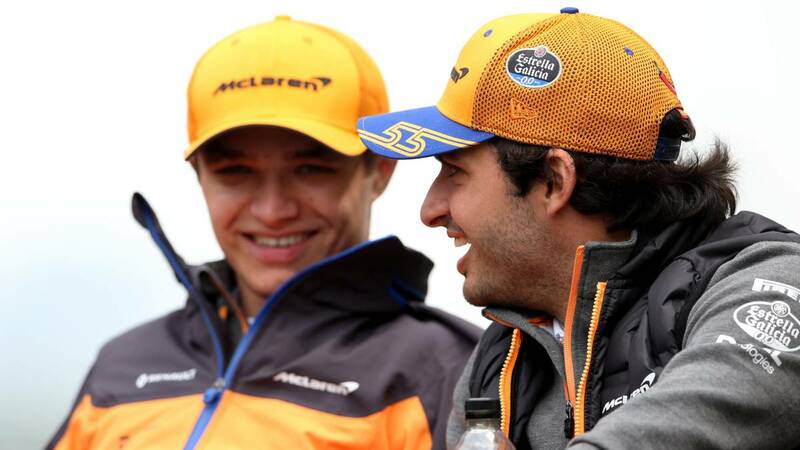 La bad luck has been primed with Carlos Sainz in his first three races at the wheel of a McLaren. Of the broken engine in Australia at the touch of Verstappen in Bahrain, in Shanghai it was Kvyat who finished with his points hopes (and those of his partner) in the sixth curve of the race. Norris' car was damaged in its flat bottom and ended up leaving, but in the case of Madrid, his comeback from the end of the peloton was satisfactory in time, although not so much in positions. From the 19th to the 14th, he overtook the two Williams and Giovinazzi for pure rhythm and took advantage of Kvyat's withdrawals (which was already behind after the penalty) and Hulkenberg. finished 10 seconds behind Magnussen, who preceded him, and 19 seconds of the points, very far, but with a rhythm that in normal conditions should have taken him to the top-10. Because Raikkonen and Perez left immediately in front of him and Albon, who was 10th, he started the race directly from the pit-lane. The Spaniard started by scoring 1:40 mid and low with the hard tires brand new. He made a second stop (for practical purposes, it is as if it were the first) on lap 36, when his times lapped up to 1:40 highs, and with the soft compound of Pirelli rolled between 1:38 low and 1: 37 means until the degradation made him finish in 1:37 high. By comparing, Kimi Raikkonen started with 1:40 and 1:41 and after his stop he stayed at 1:38 highs and 1:39 lows to finish at 1 : 41 And Perez, who was a clock, divides his race between 1:40 before the stop and 1:39 with new tires. It was worse in the race to the Haas, who had to make two stops because they started the race with soft tires and the degradation was very high. As for Ricciardo, who finished 7th with the Renault, he drove between 1:40 medium and 1:39 low and at the end of the race making a single pass through the garage. The negative point of McLaren, beyond the short Luck in the race, was in a poor classification on Saturday, something below its possibilities: Carlos Sainz did the 12th fastest time in the first sector, 11th in the second and 10th in the third, but ranked 14th because in the total of his best lap was surpassed by the Haas, the Renault, Perez and Raikkonen. Although the 15th of Lando Norris does adjust with his times in the partials.